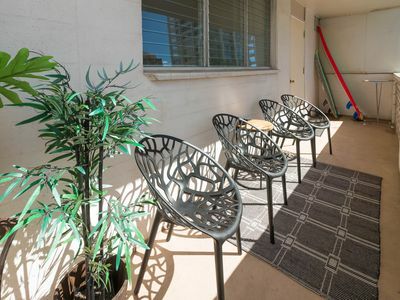 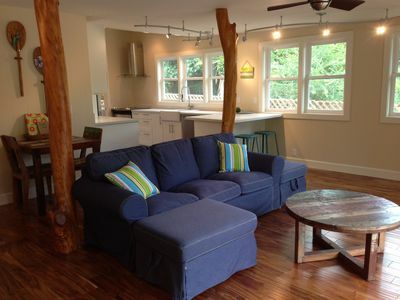 Beautifully remodeled in 2018, this rainforest themed one bedroom can accommodate either a couple or a family and friends with a rollout living room couch/bed. 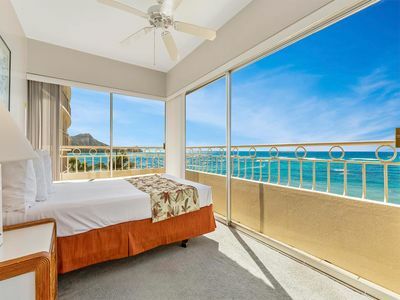 Enjoy the ever-changing view of the rainbow loving Koolau mountains while checking out the surf at Waikiki from our large lanai. 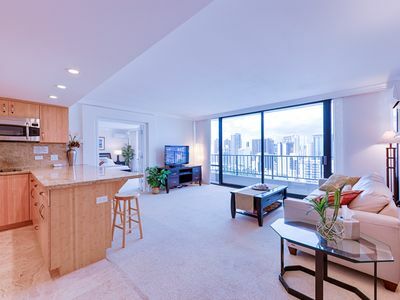 Featuring a full modern kitchen with all new stainless appliances, cookware and utensils you never have to leave Honu Hale l if you want to laze away the hit the beach at Waikiki and enjoy 50 + restaurants with every kine cuisine steps away. 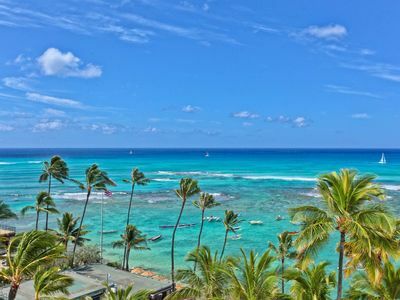 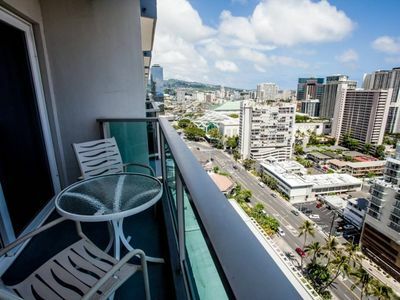 With only 4 units per floor and 2 floors below the penthouse this Waikiki Skytower condo is private and perched above the busy Waikiki landscape. 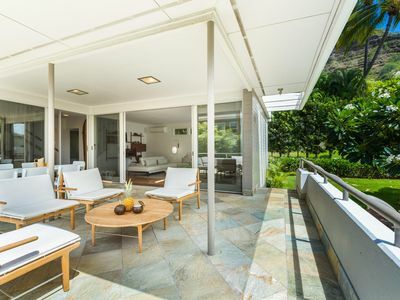 Suitable for surfers or soulmates Honu Hale l is designed to embody the peace and tranquility of the tropical rainforest. 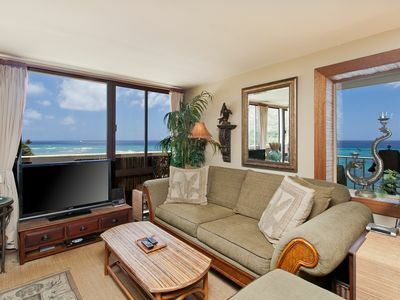 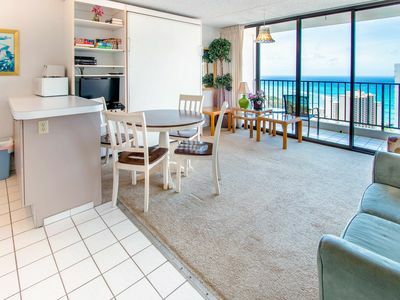 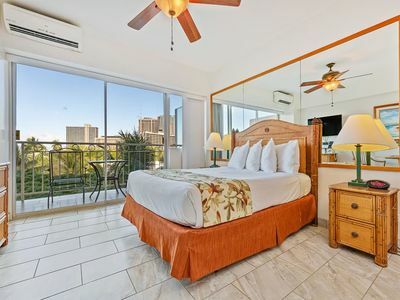 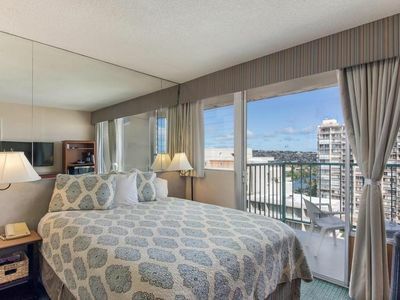 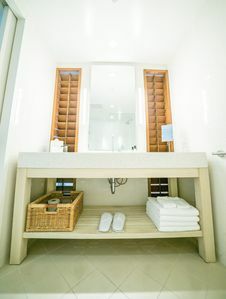 Honu Hale l is the latest in our Honu Hale family of vacation rentals in Waikiki in addition to our Honu Hale studio and Honu Hale ll two bedroom. 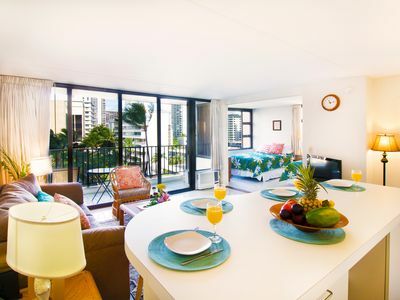 Reasonably priced in between the other two Honu Hale l gives more space and privacy than the studio and can work for a family or two couples as a less expensive option than the two bedroom. 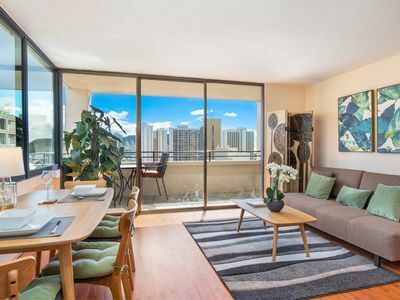 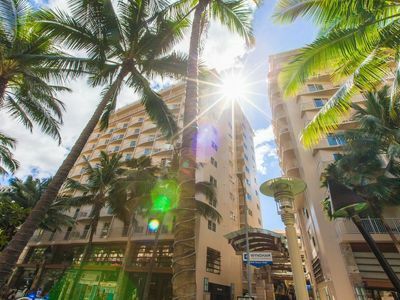 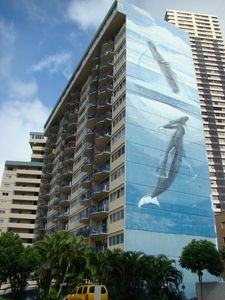 Fantastic Waikiki Condo in the Heart of Waikiki ! 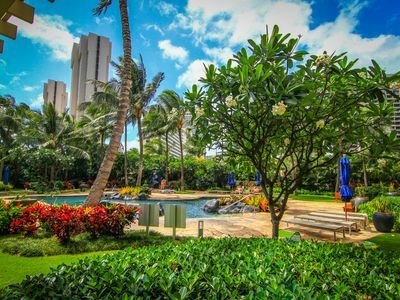 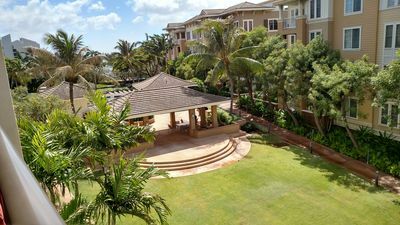 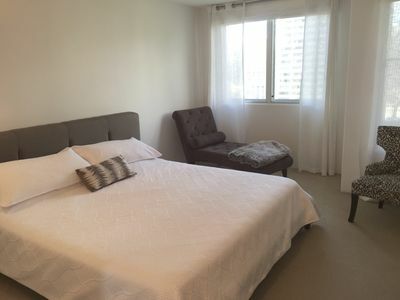 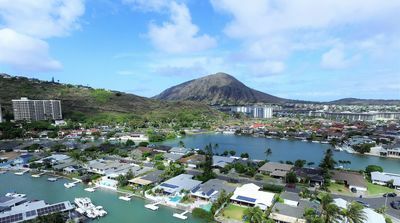 Large Private 1-Bedroom Suite In Hawaii Kai! 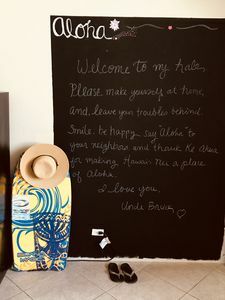 Stay at Uncle's Hale Aloha!